Yossi Benchetrit is the Chief Procurement and Programming Officer of Altice USA. In this role, he is responsible for all strategy, management and procurement of goods and services for the company, including oversight of the Procurement, Programming, Real Estate and Corporate Administration functions, with a focus on developing strategic supplier and vendor relationships. Previously, Mr. Benchetrit served as Chief Purchasing Officer of Altice N.V., where he led all procurement activities for technology, network, and content initiatives and supplier relationships for Altice worldwide and built one central procurement system for the group. 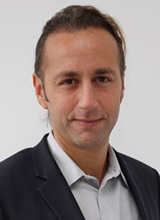 Earlier in his career, Mr. Benchetrit was the Chief Operating Officer at Altice Portugal until 2013. He then served as a key member of the transformation team applying the Altice model to all newly acquired affiliates including Orange Dominicana, SFR and Portugal Telecom. He began his career at Altice in internal audit with responsibilities for ensuring the effectiveness of operational processes and procedures across the commercial organization. Mr. Benchetrit holds a Master’s degree in physics from Universite de Versailles Saint Quentin and an electrical engineering degree from Ecole Central de Lyon, France.